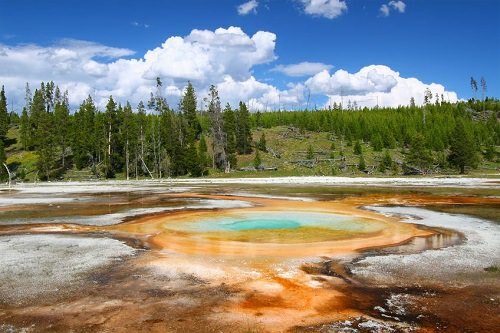 Spanning across the borders of Wyoming, Montana and Idaho, Yellowstone National Park is the home of the world famous geyser “Old Faithful” and is as large as the states of Rhode Island and Delaware combined. Yellowstone National Park drew 3,447,729 visitors in 2012, making it the fourth most-visited national park in the United States. Dedicated by then-President Ulysses S. Grant in 1872, Yellowstone was the nation’s first officially-designated national park. Spring and summer are the best times to visit, especially if you want to view of “Old Faithful,” which is inaccessible during the winter.